It's been about a month since our Bodhi Linux 1.0.0 (stable) release and I would like to say thank you to everyone that has helped make it a success! We have climbed to rank #50 on distrowatch and have seen about 16,000 downloads in this last month. If there was ever any doubt that we are filling a needed spot in the Linux world, then I am fairly certain it is gone now. I'd just like to take a moment today to share our plans for the future with everyone. The first point release for Bodhi is set for the end of May. The main purpose of this release will be to update Bodhi to the latest mainline Linux kernel and update all system packages to their latest version. Other plans include the reworking of the tablet/netbook profile to play a bit nicer with small screens. Finally, we will be fixing a small bug due to a missing package that was brought to our attention. We plan to release point release for Bodhi every 3-4 months to keep the kernel and software versions current. Beyond this, we plan to release a new version based on each new Ubuntu LTS. This means Bodhi 2.0.0 will be release sometime during the summer of 2012 based on Ubuntu 12.04. When we first released Bodhi I talked about finding people to head up Enlightenment distros based on all the major Linux distros - Fedora, Arch, and etc. We had one developer come on board to start working on an Arch based CD, however after some discussion we have come to the conclusion instead of splintering off into many areas we are going to focus on two. The first is our Ubuntu base, this is the Bodhi you already see out in the wild. We plan to develop and support this base for the foreseeable future. I just have this odd feeling that Ubuntu is making some design choices that may lead into unfavorable places in the future - but that is a rant for another day. We are open to ideas on features for what we are currently calling the "attainment" package manager. We believe we need a package manager that is created in this century, we can learn from the successes and failures of the current package managers to create something that is truly great. The third major installment of the Gnome desktop released earlier this month and I am sure many users found themselves shell shocked with more than a few of the changes. Some will adjust, some will stick with Gnome 2 (or the classic desktop), and I am sure more than a few will go looking for something else to use as their desktop of choice. 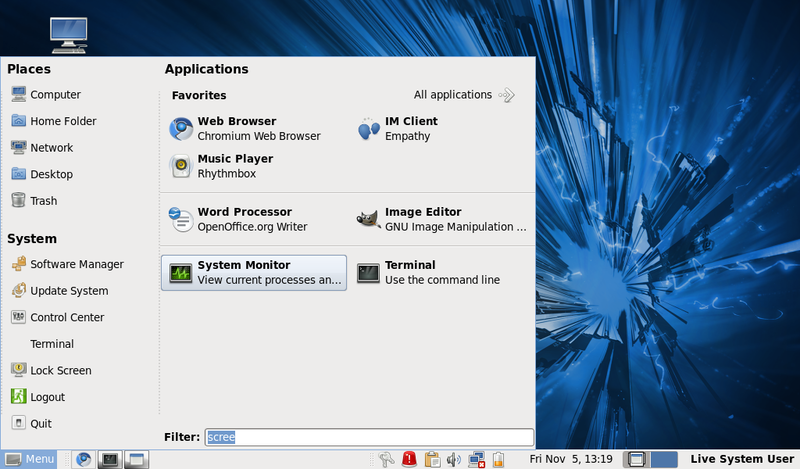 Bruce Byfield recently did an overview of seven alternatives to the Gnome 3 desktop and the second one he lists is the Enlightenment desktop. The Enlightenment desktop is sleek and lightweight, in fact there are many reasons to give the E desktop a try. If you are coming from the Gnome 2.x desktop there are a few things you will need to adjust to when you first start using Enlightenment. 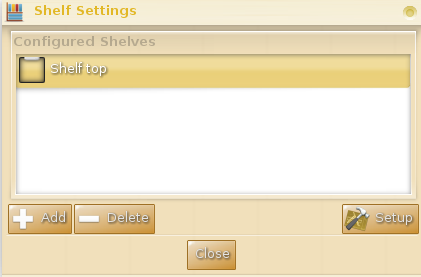 Like most things in E, shelves are also a bit more customizable than the Gnome panel is. You can configure your shelves to only appear on certain desktops (or all of them), be positioned in one of twelve spots around said desktop, and appear in one of four different looks based on your current theme (including an invisible mode). One application most people install under the Gnome desktop is "Gnome Do" for quickly launching their applications. Well Enlightenment has a default module known as "Run Everything" that really does run everything! By default "Run Everything" is bound to super+space and alt+escape so pressing either key combination will call up the smart launcher. Your desktop stays clean of desktop icons by default you will notice, this is because left clicking anywhere on the desktop gives you the main menu. Right clicking anywhere on the desktop short cuts you to a menu that displays the applications you have flagged as "favorites". If you'd like to easily emulate the setup in the above image, then download this file and extract it to your ~/.e/e/config folder. Then restart Enlightenment and the "Gnome" profile will appear in your profiles list. Have any other questions feel free to drop a comment below and I'll be sure to lend a hand. Ubuntu's 11.04 release is now on the horizon and unless you have been living under a rock then you know that their big change is going to be the move to the Unity desktop. Personally I found this move to be odd when I first heard it, I mean after all it was Ubuntu that allowed the Gnome desktop to initially take off and beat out the KDE desktop. There have been piles of different articles about Unity, so I'm not going to bore you with the same details you can find lots of other places. My question is this - Was this second project necessary? They both use GTK (although Unity is using the older GTK2). They both share so many common traits I have to wonder if both parties would have been better served with Ubuntu simply investing itself into Gnome 3 instead of creating something completely new. I've mentioned my next idea once before and it seems my thoughts are still relevant nearly a year later. How much of the desktop does Ubuntu feel it is necessary to lock down in the name of user friendliness? I came across a HOWTO on Lxer.com the other day describing how to re-enable a full system tray in the Unity desktop. The fact that a HOWTO for this even needs to exist, makes me question the direction Ubuntu is headed in. If they continue down their current path, I have no doubt their days as the top dog of desktop Linux distros will be numbered. You know what they say in the FOSS world though, if you don't like - FORK. Just this has been done to Ubuntu countless times, however I think with this upcoming Unity release it will be a chance for some of these other derivatives to really shine. 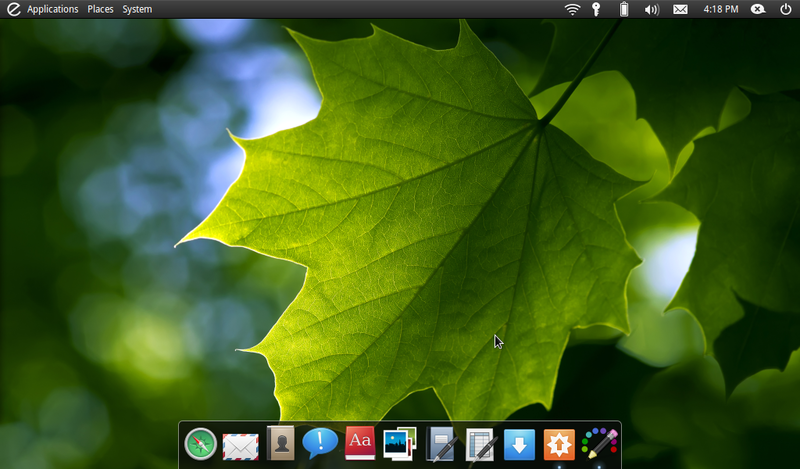 Both Linux Mint and PinguyOS have stated they plan to stick with a more classic Gnome desktop for their 11.04 releases - so those facing shell shock over Unity will know where to turn to. What are your thoughts on these newly created desktops? Needed change or unnecessary evil? April in Linux land means most people are going Ubuntu crazy as Canonical's first bi-annual release of the year comes to term. I would like to take a moment to remind everyone to stop and smell the distros. Even in April there is much more to Linux than just Debian's child (and grand-children). One of the other "big names" in the Linux world is Red Hat's community driven Fedora. Beyond Fedora itself, there are also a small number of derivatives out there based off of this Yum+RPM powered distribution. The following is a round up of some of the better ones. 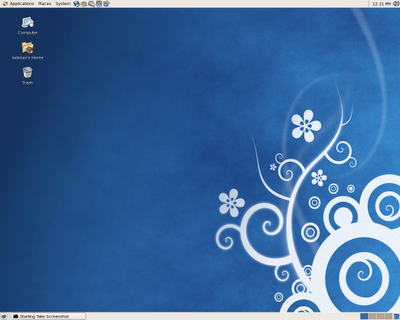 Fusion Linux is to Fedora as Ultimate Edition is to Ubuntu. 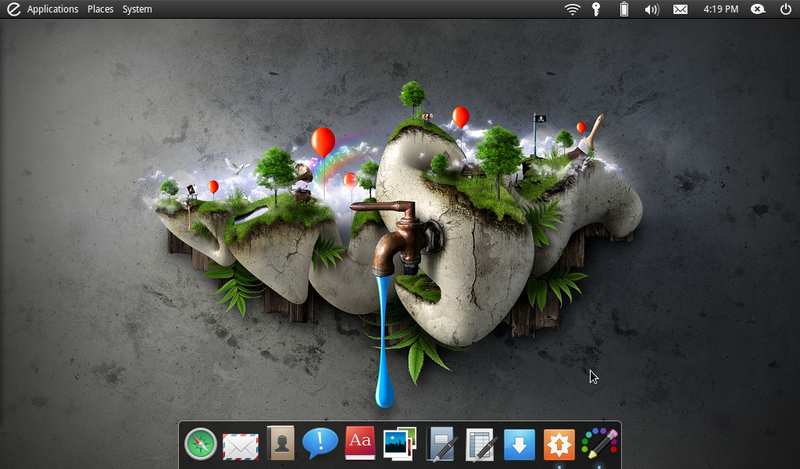 It takes the base desktop and crams it full of applicationy-goodness! It offers a good selection of open source applications by default that just about anyone would be able to sit down in front of the distro and accomplish most all of their computing tasks without having to install any additional applications. Beyond this it also pre-packages flash, java, and all those closed source codecs you need to play any sort of media file. If you are looking for a "beginner" or "quick setup" Fedora derivative, there is no doubting that Fusion is the way to go. Even if this distro's name is a bit of a joke, it's goals and usefulness most certainly are not! 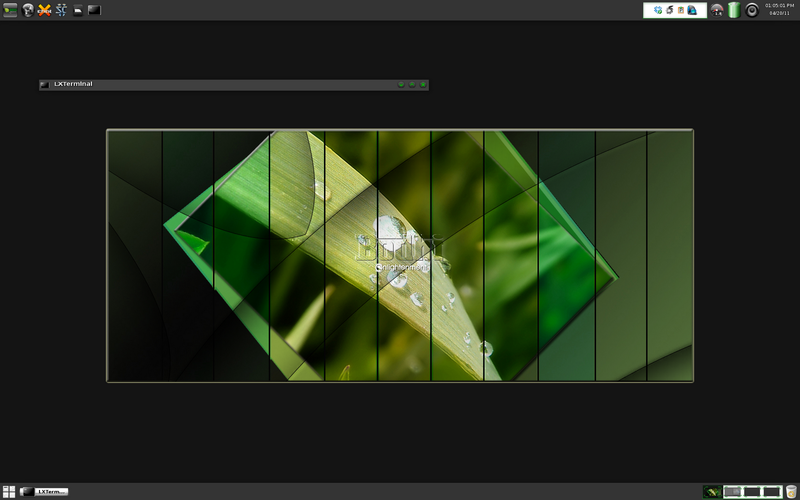 If Fusion Linux is the Ultimate Edition of the Fedora derivatives, then there is no doubting that Fuduntu is easily comparable to Linux Mint. Fuduntu takes the standard Fedora base and adds minor adjustments that make the whole system feel just a bit more elegant. Beyond the new icon set and nautilus elementary, Fuduntu also distributes Adobe's Flash player and MP3 codecs by default. Fuduntu is largely targeted at laptops and netbooks - meaning it keeps power management in mind as well with the Jupiter Applet. 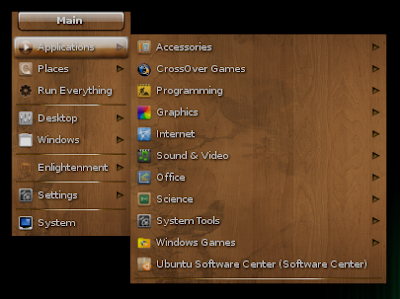 Odds are you may know there are many different desktops to choose from in the land of Linux. 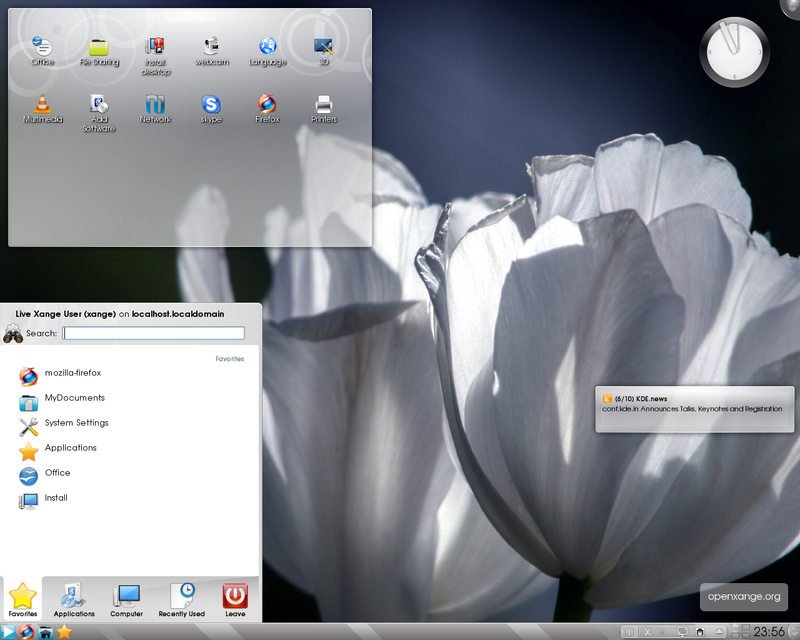 Unlike Fusion and Fuduntu, Xange opts to use the KDE desktop instead of Gnome. Xange advertises itself as an "easy to use" Fedora derivative that is designed to be beginner friendly. 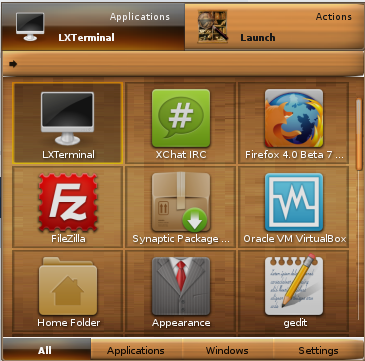 It has some a-typical default applications such as aMSN and Skype included by default. 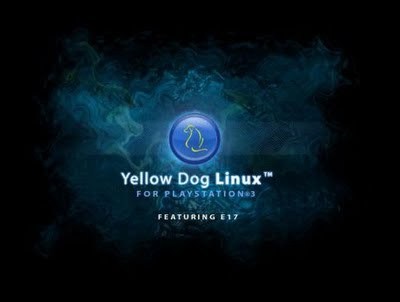 You won't find flashy desktop effects, multimedia codecs, or anything of that sort here by default - Just a rock solid Linux distribution. CentOS really shows Red Hat's dedication to the open source ecosystem. 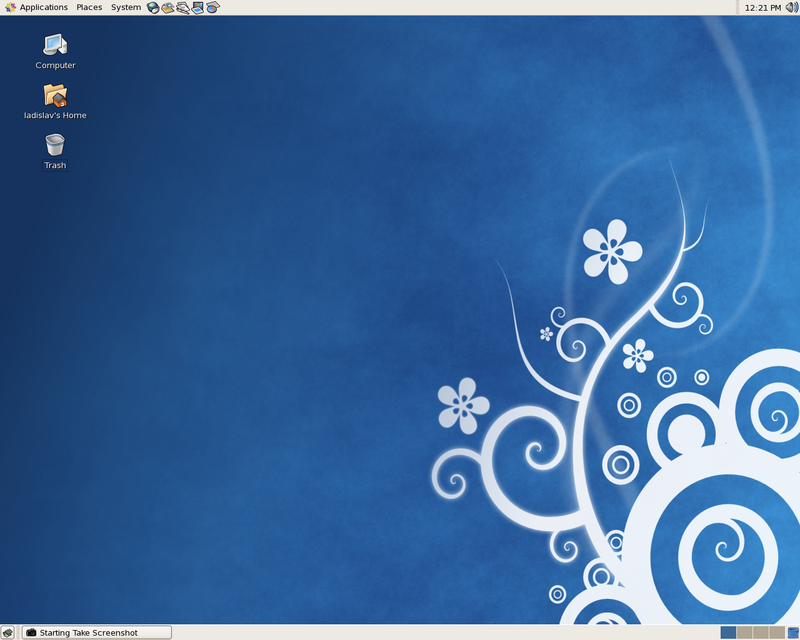 CentOS aims to be 100% binary compatible with RHEL and is just as stable. It is geared towards those that need a rock solid system, but do not need (or cannot afford) enterprise certification and support. 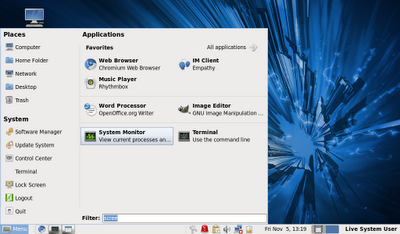 Of course I can't get through a Linux distro round up without mentioning my favorite desktop - Enlightenment. Yellow Dog is a Linux distribution designed for the PowerPC and PS3 architectures that features the E17 desktop. It is designed for home, business, and cluster computing users. It is one of the world's only Linux distros optimized for the cell processor. Have another favorite Fedora derivative I didn't mention here? Drop a comment below letting me know what it is and I will be sure to check it out. Angry Birds Angry with Linux? If you have been reading here for awhile then you may know that I am a bit of a gamer still. Even though as time progresses more games are being created natively for Linux, there are still a good deal of games that are written in DirectX so they require a Microsoft operating system (or Wine) to play. Not everything is written using Direct X however, in fact a good deal of games are being written with OpenGL support. Something that really irks me however is when a company creates a game in OpenGL (See Blizzard and Valve) to run on Mac OSX, but at the same time refuses to support the Linux operating system. Unless you have been living with your head under a smart-phone-free rock for the last couple of years no doubt you have heard of the smash hit game "Angry Birds". Angry Birds takes the operating system discrimination I mentioned above to the next level. Angry Birds works on iOS, Maemo, Android, and Windows - yet they refuse to make a general Linux installer. Now I could see if they only had an Android client why there might be some hold up, but the game runs on Maemo - which is a full Linux OS. Thats right - the game already compiles and runs on an ARM Linux platform. If the pile of FOS applications that have been ported to the N900 are any indication this means that getting the code to run on an x86 or 64bit version of Linux is just a recompile away. Yet still no Linux client for Angry Birds! 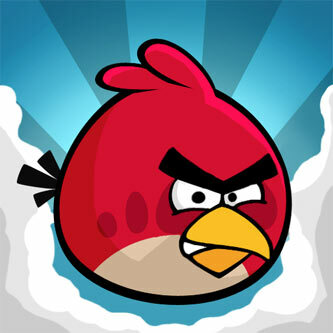 "We do intend to develop versions of Angry Birds to all relevant devices out there. News like this are announced at Rovio’s web pages or in a newsletter. In most cases we will not publish any release dates for the updates before they are ready and available. This is to make sure we can finalize the updates without external time pressure and because we do not want to give dates that we cannot always guarantee we will hit." Their generic response about "devices" makes me wonder if they even read my email. Do you think we will ever see non-open source developers stop ignoring my platform of choice or is Linux forever doom to obscurity? I recently started playing with OSx86 again on my laptop that also runs Bodhi Linux. OSx86 uses the Chameleon boot loader to boot into the OSX kernel and handle easily passing on boot arguments at startup. If you are a Linux user like myself, odds are you prefer the Grub boot loader, which supports just about every operating system you can think of. While I like grub, it does not do a good of a job of passing boot arguments to the OSX kernel. Beyond this some of the EFI strings Chameleon has happen at boot don't work properly with grub. The solution is to have Grub simply chainload into Chameleon instead of booting directly into the OSX kernel (which it does by default). Or if you don't trust a file provided by myself, the boot0 file is part of the chameleon boot loader, search for it on your own hard drive and move the file over. Note in the above chunk of code you will need to change hdX,Y to match your particular hard drive layout. On my system OSx86 is installed to sda1 (which equates to hd0,1) and Bodhi, which manages Grub2, is installed to sda5 (which equates to hd0,5). Also be sure you make the uuid match that of your OSX drive (you can copy it from the grub2 entry for booting directly into the OSX kernel). Have any questions feel free to drop a comment below and I will lend a hand. It's been awhile since I had the time to install another distribution and really put it through it's paces enough to write a full review of it. After crying wolf about a lack of information on the Elementary OS website, I felt I owed it to their team to give the disc a (free) download and put their OS through it's paces. The Elementary OS website has slowly been fleshing out over the last couple of weeks, but it is still fairly sparse at this point. 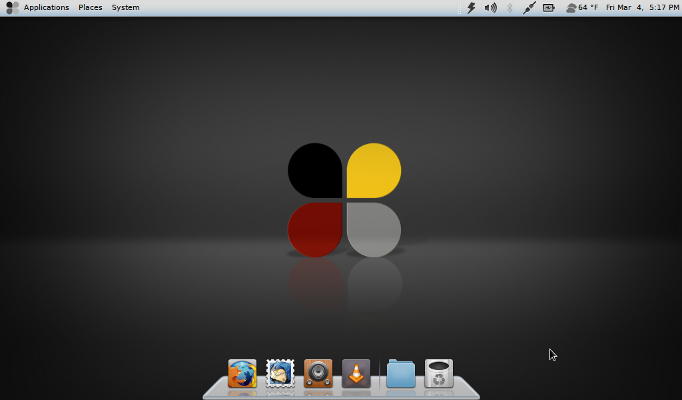 For those who are not aware Elementary OS is a Linux distribution based on Ubuntu 10.10 that uses the latest Gnome desktop 2.x desktop. Their main page now has download links for 32 and 64 flavors of the OS in both direct download and torrent form. There are also options to order a CD or donate some spare change to the project. Along the top you will find discover, which gives you a run down of the default applications, and an FAQ that starts with explaining that the website will be fleshed out more in the coming months. I hope they do this quickly though - because while there is a link to their freenode IRC channel there aren't any user forums setup for posting questions. Anywho - I downloaded the 32bit ISO of their 0.1 release via the torrent download and was ready to go. I loaded the ISO onto my flash drive using unetbootin and the went to load it up onto my T101MT. The boot time was on par with any other Ubuntu based disc and after a few moments I was greeted with the default desktop. The live disc detected and functioned with all of my tablet's hardware by default - except for the multi-touch track pad (for two finger scrolling). I was quickly able to locate the installer icon on the dock along the bottom of the screen and was soon installing the OS (One oversight/typo however is that the installer reads "elementary 0.2 installer"). Just a couple comments on the install process. One small niggle I would like to mention with the installer is that it went online and did an apt update even though I had not told it to do so. The installer also lacks a slide show, not mission critical - but useful and informative for new users. Other than this it was just the standard Ubuntu 10.10 installer - at any rate about 10 minutes and two gigs of disc space later I had Elementary OS installed onto my system. Elementary's inclusion of Abiword, Gnumeric, and Midori as opposed to Libreoffice and Firefox gives the gnome based OS a snappy feeling that I am more used to when using lighter desktops (not complaining here). Something else worth mentioning with regards to software is that even though Midori 0.3.3 released on the 13th of March, Midori 0.3.2 is included on the Elementary OS live CD. Don't worry though, it will download the newer version during your first system update. Also worth mentioning is that Dexter, Postler, and Lingo are all applications that are being developed by the Elementary OS team. This means they integrate well with each other. Samba is also present for managing network shares via the Elementary Nautilus file browser. 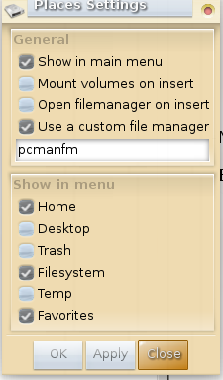 Some things lacking by default that I think would be good to see added would be something like Gnome Do (makes it so much quicker getting to your applications) and a power manager of some sort like Jupiter. Elementary OS also makes the choice not to included closed source/restricted codecs by default such as Adobe's flash player and multimedia codecs. Personally I respect this choice and think it is a good one to make. 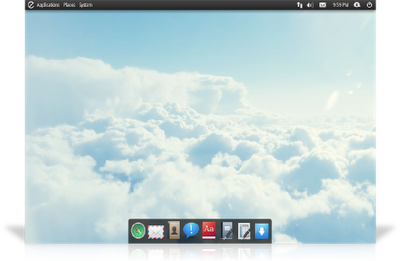 Elementary OS has a simple, but elegant feel to it by default. In addition to the default cloud background there are a number of good images to choose from in the default wall paper selector. As far as icon set and GTK theme go you will find the opposite of a wide selection. 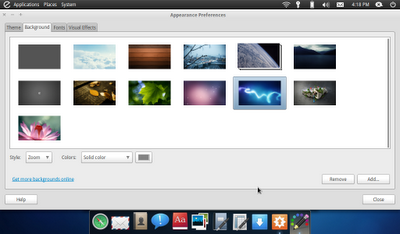 In fact you will find only the much talked about "elementary" version of icons and gtk theme. They both look fairly sleek and my only complaint is that the scroll bar in your applications is very thin and has no up or down arrows. Clearly a design choice, but it makes it difficult to scroll when trying to click+drag on the bar. As far as the kernel goes you will find this current version of Elementary OS powered by the 2.6.35 kernel from the Ubuntu repository (28-generic flavor). 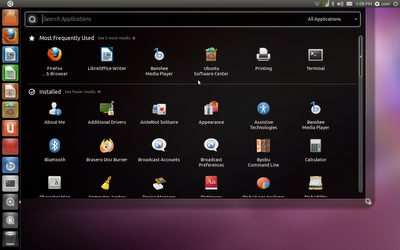 For finding new software Elementary ships with both the Ubuntu Software Center and the Synaptic package manager. For managing your updates you will find the normal Ubuntu update manager. I also mentioned above that Elementary OS has a snappy feeling to it - it is also fairly resource friendly for a Gnome+Ubuntu desktop. By default it uses around 150megs of RAM. Speaking of software, you will find the Ubuntu repositories, as well as the universe and multiverse repositories enabled by default. All Elementary OS updates come down via their PPA. This is a choice I do not care for, personally I think having an actual debian repository is better suited (and more professional) for serving applications to an OS - but to each their own. The only issue I had hardware wise with Elementary OS is that it did not support two finger scrolling on my netbook's trackpad by default (but then neither does anything Ubunu based). My complaint is that at the same time it did not auto-set itself to use one finger side scrolling as some distros do. Over all I think Elementary OS is a good start into a Gnome based distribution that could really shine in the coming months with Ubuntu making it's move to the Unity desktop. One thing that could really give the project a more unified feeling would be the removing all the few bits of Ubuntu branding left (update manager, software center, etc). For those that are used to the Gnome desktop, looking for something light (and don't feel like stripping a base Ubuntu/Linux Mint install) Elementary OS is a perfect fit. Have you used Elementary OS - if so what are your thoughts on the project? "traditional PC desktop is becoming less important"
If Microsoft is a puppy, then it is one that has eaten all the desert in the house. Sure Linux is getting what it needs at dinner time, but having desert afterwards would really sweeten the deal. Traditional desktop PCs are no longer our only source of access to the world wide web and other applications, but these other devices are still not coming close to fully replacing the experience of having a decent size screen, with a keyboard and a mouse for navigation. Now, with Linux having been so successful everywhere else, why is it still failing to over take on the desktop? Well I have a theory and as you may have guessed from the title of the post, I placing the blame here squarely on the shoulders of Internet Explorer 6. Or well, more directly on those that still use Internet Explorder 6. Did you know according to W3Counter as of last month (March 2011) 3.2% of users online are still using Internet Explorer 6 as their webrowser? Beyond this over 9% of users are still using Internet Explorer 7 and right about 40% of users are estimated to be using Windows XP. Now while you can argue over the exact statistics for days - that is not my goal in sharing them. Regardless of how much (or little) any of the above technologies are being used, the fact that they register a percent at all means they are being used by millions of people still. There is no reason, other than fear of change, to be using a browser or operating system in 2011 that was created over a decade ago (unless of course it is on a server that has over a decade's worth of uptime). It amazes me how many times I've setup Firefox or Google Chrome on a friend's computer only to return later to find out they have foobared something because they fell back into using Internet Explorer after I left (most often times simply because they liked the blue E). Once most people are set in their ways it is hard to get them to change - no matter how subtle that change may be. What do you think - am I on target here or way missing the mark? Why does Linux do so well everywhere else, but continue to fall on it's face when it comes to desktop computers? For those that have trouble distinguishing between fact and fiction April 1st is a dangerous day for internet surfing - doubly so in the world of FOSS. Mischievous web admins were a-foot in many places around the world wide web for the last twenty-four hours, the following is a round up of some of the better ones I came across. OMGUbuntu - The popular Ubuntu Linux tutorial/blog website greeted you with an "Error: Fatal X11 Failure! Using fallback terminal mode!" That then allowed the user to navigate back to the main homepage by using a little bit of bash-foo. Check out their online terminal here. 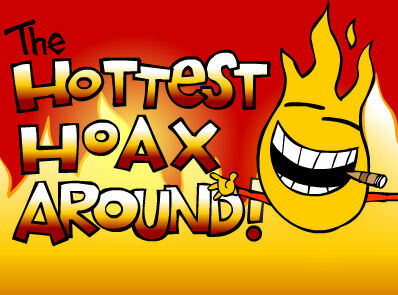 Google - Google is fairly famous for their April 1st stunts and today was no exception - they had two fairly good hoaxes I came across. First Google "Motion" was announced. A revolutionary technology that will let you quickly respond to emails by using gestures in combination with your webcam. Find more information and a video about it here. Play on Windows - The Wine Reviews blog posted an announcement about the "Play on Windows" product from the creators of Play on Linux. Citing something we know to be true "applications run much faster using Wine + Windows 98, for instance, than natively under Windows Vista." A sad truth about Microsoft's operating system to say the least. Lady Gaga, Gaga over Ubuntu - Report by Tech Source that Lady Gaga recently announced she was an Ubuntu fan. The result? A 6% market share increase for Ubuntu Linux (largely in the form of teenagers). If only, if only! KDE & Gnome - Both of the unix desktop giants are up to no good this year! KDE announced a 100 euro entry fee raffle. The prize? All of the software currently available in the KDE catalog - free of charge! Microsoft Buys ReactOS - For those that are not familiar, ReactOS is a project working to create an FOSS operating system that has binary compatibility with the Microsoft Windows operating system (they work closely with the folks creating Wine). Blogger Marcel Gagne posted an announcement that Microsoft was buying out the open source project for an unprecedented 12.3 billion dollars because ReactOS was "just getting to close to creating a free and open source version of Windows" I think the frightening thing about this one is that we might actually see a stunt like this pulled by Microsoft should ReactOS continue to progress towards it's goal. Simple as Arch - technologically simple and bleeding edge. Stable as Debian - highly dependable. Malleable as Gentoo - you get what you really want. Live as Grml - readily usable. Openminded as openSUSE - broad and welcoming for everyone. While I think there are more than a few people out there wishing this one to be true, I can say with a decent amount of certainty this is a joke. What it does show us however is how willing those in the FOSS world can be to work together, even when they are some of the largest projects out there. Find any other good April 1st day joke on the net I didn't list here? Drop a comment below letting me know.